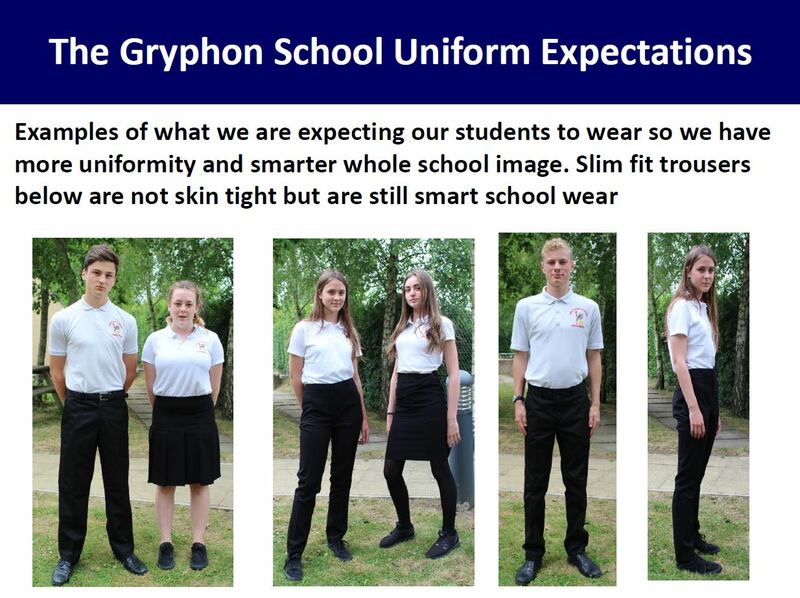 Following feedback from parents, teachers and governors, The Gryphon School is introducing standard skirts and trousers as school uniform. 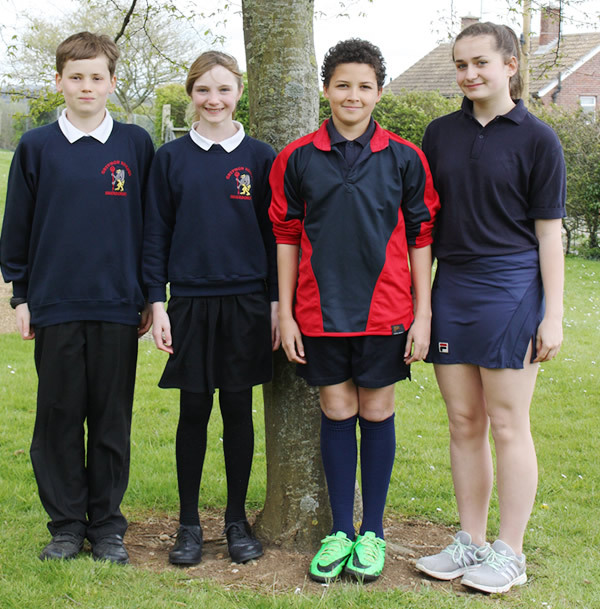 The specific skirts and trousers will be compulsory for Year 7 students starting in September 2018 and for replacement items for older students throughout the year. 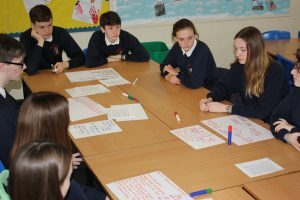 This will be compulsory for Year 7-11 from September 2019. We want to give parents enough notice prior to them purchasing school uniform for the coming school year. The skirts and trousers are produced by Banner, and will be available from Sporting Classics in Sherborne as well as online. 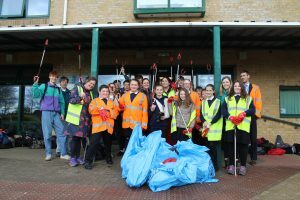 The items were chosen for their quality and durability, and will ensure students look smart and presentable for school. By standardising the uniform we hope to avoid any confusion for parents when buying uniform, and ensure consistent standards across the school. Examples of the uniform can be seen in Conference Reception. Black trousers (boys and girls) – smart/tailored low lycra content. From Sept 2019 the standard trousers are compulsory (see above). Black skirt – knee length. 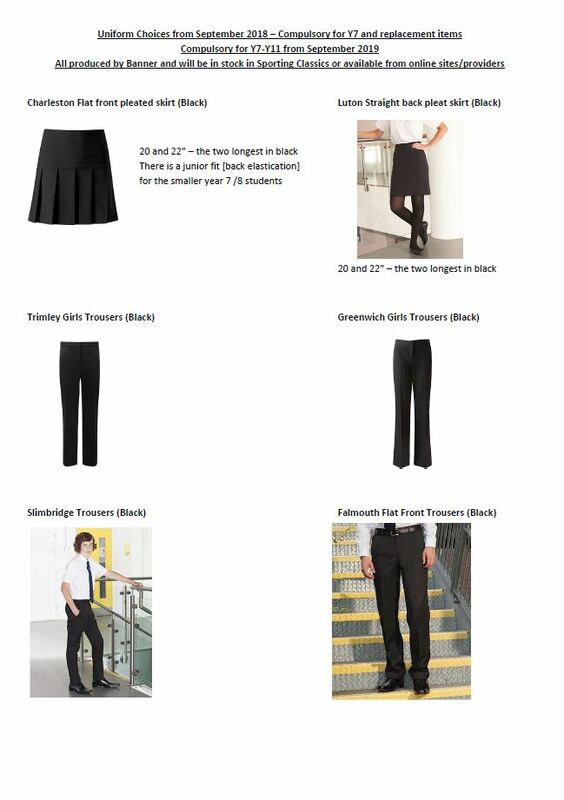 From Sept 2019 the standard skirts are compulsory (see above). Black shoes or black trainers – only if all black. No boots. Pierced ears – one stud in each ear – no facial piercings and no other jewellery worn. Nail varnish and heavy make-up are also not part of the school uniform and will be removed if worn. No extreme hair colours. Those with pierced ears should only wear one stud in each ear. Extreme hairstyles and hair colours are not permitted since they are felt to be incompatible with uniform. In Sixth Form, there is an agreed dress code.